This entry was posted in Uncategorized on January 31, 2016 by LCinNYC. This entry was posted in Uncategorized on January 2, 2016 by LCinNYC. For every over-heated, sweaty, sold-out show I’ve seen Against Me! play, this one stood alone. Not better than, or worse than – just different, unique, a true experience I felt lucky to share with everyone in the room. Looks like she’s going to do it again when she plays Lincoln Center. Click here for details. This entry was posted in Uncategorized on November 27, 2015 by LCinNYC. Highlights from this year’s Mermaid Parade @ Coney Island. June 20, 2015. A little bit of rain never hurt any of this sea-life! Even with the on and off mist there was still such an enthusiastic crowd. Beyond the regular boardwalk eats (Hello, Nathans!) and window shopping, this year’s Mermaid Parade boasted another treat – the Coney Art Walls! A new addition to Coney Island, the Art Walls are a dream come true. Shipping Containers turned works of art, turned Smorgasburg-food-truck-eats, this was a diamond in the rough while traipsing around Surf Ave! Artist installations from Shepard Fairey/Obey, Buff Monster, Lady Aiko, and more create the perfect atmosphere for photos, eating, drinking, and hanging in the sun! Although the Mermaid Parade has come and gone this year, I definitely recommend going to Coney to check out the Coney Art Walls & Smorgasburg. Just don’t forget to ride Janelle’s favorite Bumper Cars or the Cyclone! This entry was posted in Uncategorized on September 16, 2015 by LCinNYC. Hot as hell, but at least there was ice cream! 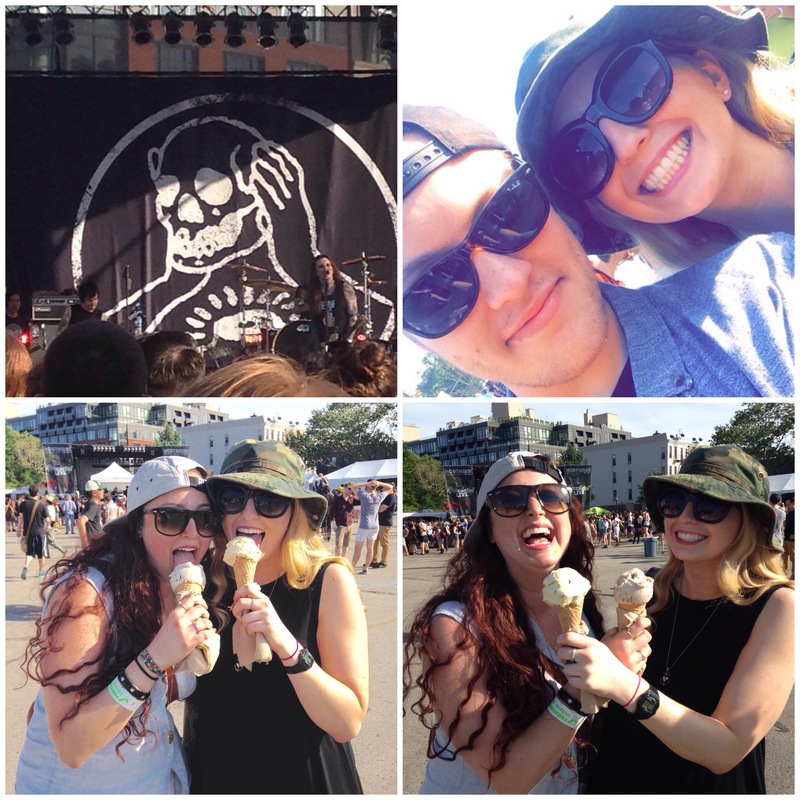 This entry was posted in against me!, Brooklyn and tagged against me!, brooklyn, northside festival on August 8, 2015 by LCinNYC. I lived out all my Spice World dreams in London with Claire. Highlights: tea, VA museum, the tube, tesco, evan song, shoreditch, wandering, street art, english breakfast, jaffa cakes, top shop, brick lane coffee, bleach london, wah nails, royalty, kate middleton in general, and most of all…quality time at the flat with Claire. This entry was posted in claire, london, travel, uk and tagged claire, london, travel, UK on July 16, 2015 by LCinNYC. 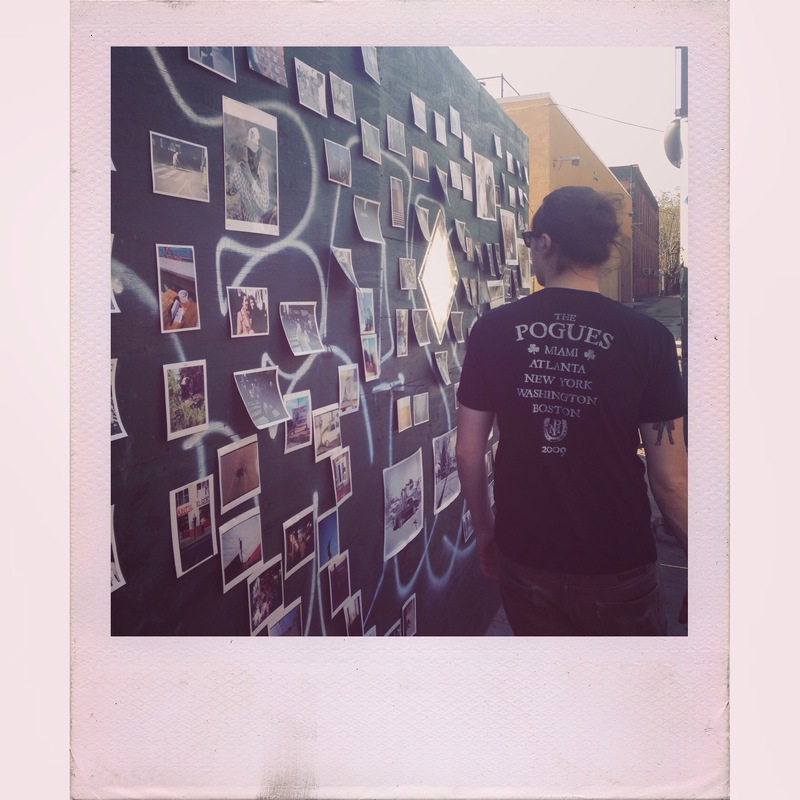 This entry was posted in Brooklyn, photography, polaroid and tagged brooklyn, photography, polaroid on July 9, 2015 by LCinNYC.